New Year means New Makeup, now that we're in January I feel like I need to but getting rid of the old and in with the new. 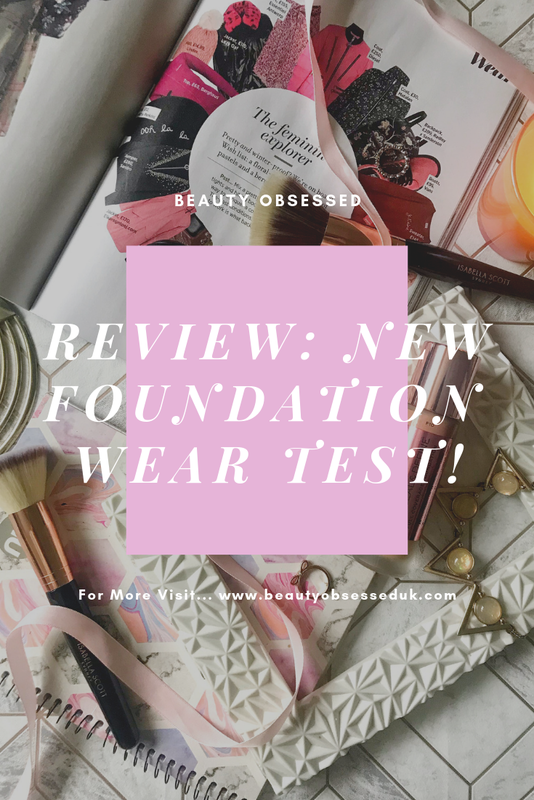 On a recent trip to the drugstore (High-street), I picked up two foundations that I've never tried before and put them to the test. Revolution: I know what you're probably thinking how could I have only just tried this foundation! I don't know why myself. I finally just went into Superdrug and picked it up one day. I already knew that the shade range was good but when I went to my Superdrug they had all of the shades on display making it so much easier to find my colour. I know my shade in the concealer which is C8 so I knew I would be a darker shade so I tried a few and came out with F10. When I left the shop and looked at the foundation shade I still had on my hand it did look slightly too dark. Ps...: I wasn't actually going to get this foundation but I was having a look through the makeup and I came across this foundation. I also wasn't expecting to find my shade but after a few swatches, I think I found the right shade which is Sand. 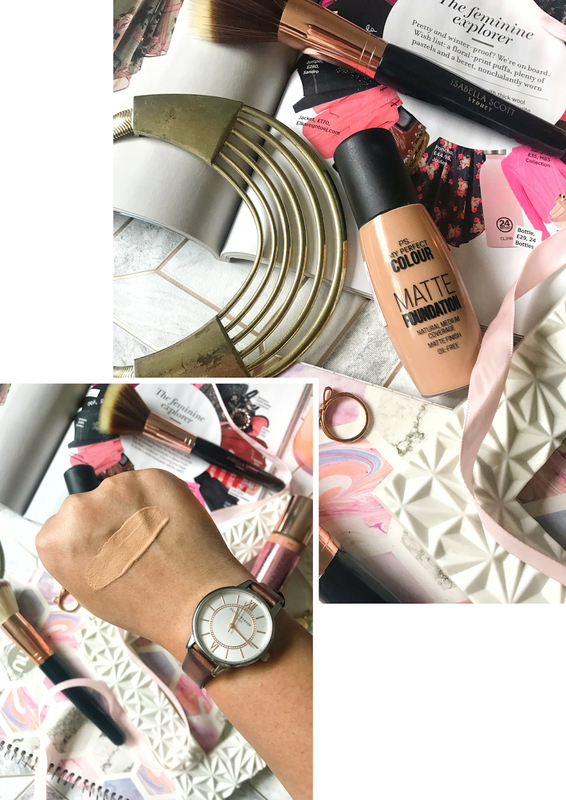 What drew me in with this foundation is that it claims to be a matte finish which is what I look for in my foundations, I was a bit sceptical of this because of the really cheap price tag. Revolution: Out of the two foundations this one has to have the best packaging, with its frosted glass base and mirrored pink lid. If I didn't know that this foundation was £9 I would have thought from the packaging that it would have been a lot more expensive. The product feels pretty heavy and sturdy but I would worry that if I dropped it because it is glass that it would smash (I'm very clumsy). The main part of the packaging is the mirrored pink sticker with all the information on including the name, shade number and ingredients. The only problem that I have with the packaging is that it doesn't actually say what the finish of the foundation and whether it's matte or dewy. The applicator of this foundation is very different to what I usually use as its a doe foot like you would find on a concealer. I was actually surprised by how large the applicator is on first glance. P.s...: The packaging for this foundation is pretty basic but you can't really expect more especially if it's only £3! The whole packaging is made out of plastic which I don't really mind and the lid is in a matte black. The name of the product and all of the ingredients are in black writing and have been printed onto the plastic, There is also an added sticker on the side of the bottle which includes the shade range. What I do like about the packaging is that the plastic bottle is transparent and you can clearly see the foundation shade on the inside. 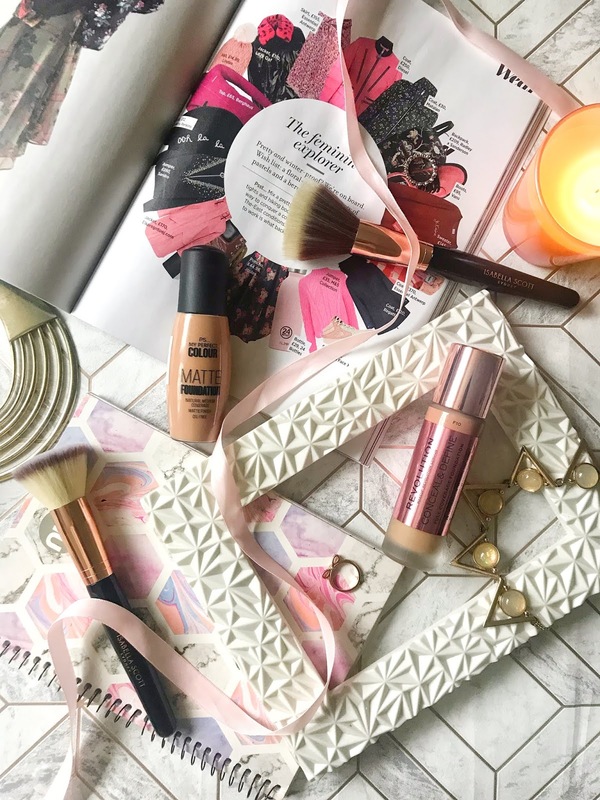 I wouldn't say this foundation has an applicator but it does contain a pump which I really like because you don't wasn't too much product that way and it is more hygienic. Looking at both of the products I was really surprised to find out that the Conceal & Define foundation actually has less product than the P.s... foundation, I think its the packaging of the Revolution foundation which makes it looks like there's a lot of product. The P.s... foundation has 40ml / 1.3fl of product where the Revolution foundation has 23ml / 0.8fl making it have just over half the amount less than the Primark foundation. Revolution: I was expecting good things form this foundation because it has such good reviews and it didn't disappoint. 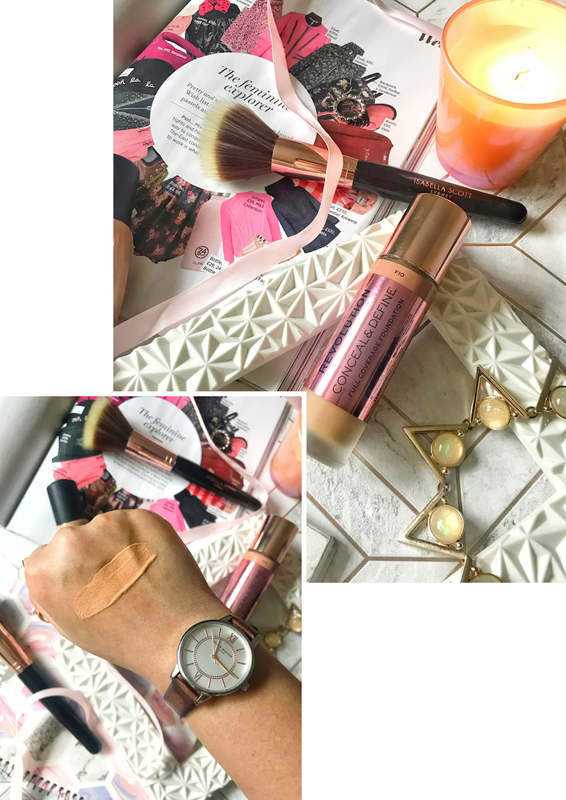 It did feel a bit weird applying the foundation with the doe foot applicator but it actually worked really well, just enough product was on the applicator to dot the foundation around my face. I did have to go back into the product a few times to get enough for a full face. Then I started blending the foundation, I used both a sponge for one side of my face and a brush just to see which worked better. I did work pretty fast with this foundation as I didn't know how long it would take to set, but it actually blended out nicely without it drying down too fast. I actually think that I liked to apply this foundation better with a brush but both the brush and the sponge worked really well. Once I had blended out all the foundation I then realised that the shade F10 may be slightly too dark for me and it seemed to have more of a pink undertone. I don't actually see the shade being too much of a problem because in the summer (if we get good weather)face should get a bit of colour and this foundation should be a perfect shade. After wearing this foundation all day I'm actually in love with it. My nose is always an issue for me and foundation always seems to crack and look weird but with this foundation, it didn't which is amazing. Finally showing my overly large forehead on my blog! P.s...: I don't know what I was expecting before I tried out this foundation but it definitely beat my expectations. I was excited to try it out and because the price is just amazing. I did find that I had to use around 2-3 pumps for it to cover my face with a nice amount of coverage. Then I started to blend out the foundation and because it has a matte finish I actually prefered to use my sponge as I did find that you do have to work a bit fast because it does dry down pretty quickly. 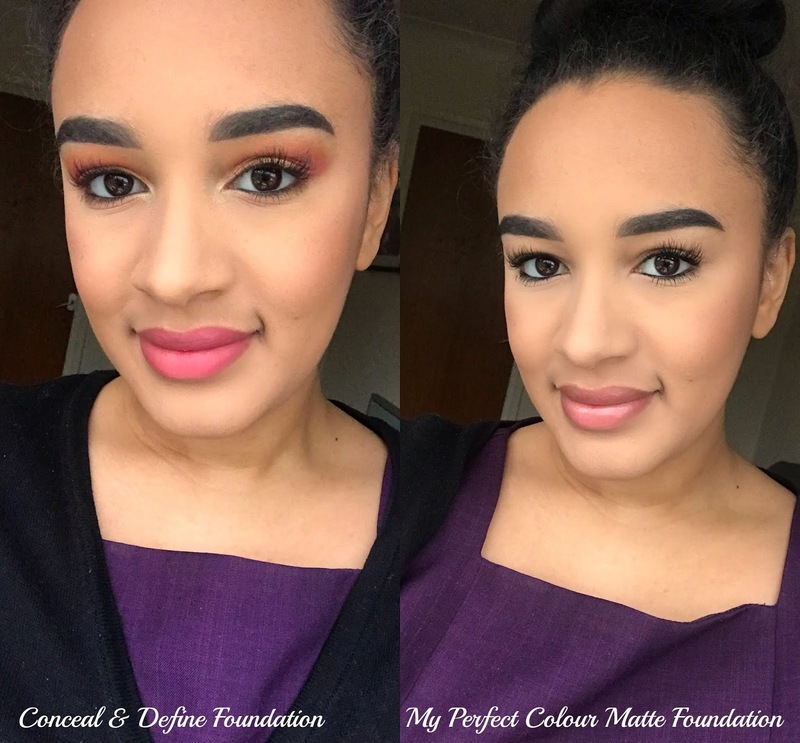 While blending the foundation out I did find that it really blended nicely into the skin, the colour was a perfect match and I also really liked the coverage. It does say it is a Medium-Full coverage which I would definitely say that it is, for me I do like to have full coverage so I did apply another layer on top and then it was perfect. Once the foundation was all set I didn't even feel like I needed to apply powder on top as it set perfectly matte. After wearing this foundation for the full day I was also so surprised about how well this foundation held up on my skin. I did need to powder just once during the day but that's nothing compared to what I usually do. This foundation also didn't break apart on my nose, which I loved! Overall I think both of these foundations are amazing, they worked really well at giving me a lovely coverage which lasted all day. Have you tried any of these foundations before? 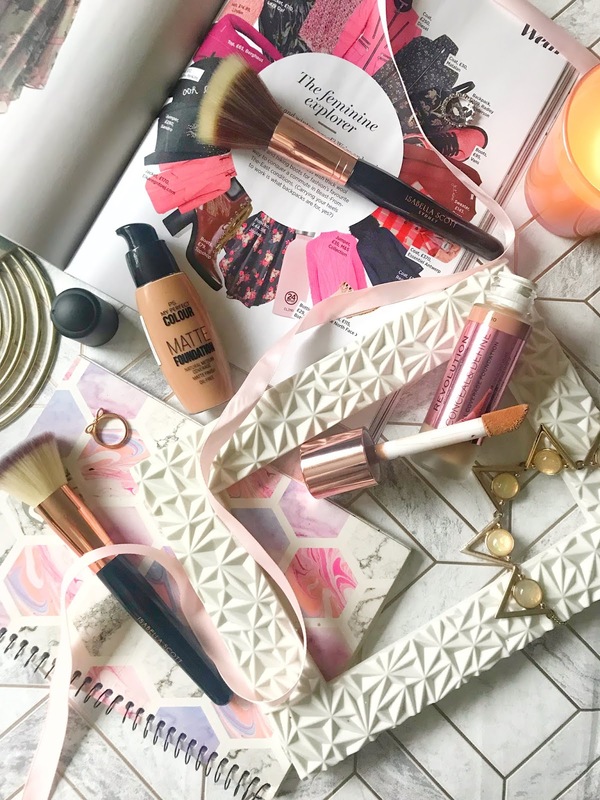 I'm honestly so surprised about the Primark foundation! It wore so well on the skin and looks absolutely amazing! Your make-up looks amazing in both of those final shots! I think personally, I prefer the second one. I tend to opt for more matte things on a whole :) Great review! I LOVE the Revolution foundation SO much!!! It's now my holy grail, honestly best foundation for my skin I've ever tried which I'm super glad about as my old one wasn't cruelty free. My nose is also a huge problem area for me but this foundation literally doesn't budge on it, it's amazing! I'm so glad you found it to be just as good, both foundations looks gorgeous on you and provide such a flawless finish! The PS one looks fabulous, too. For the price it is a massive steal, I've actually heard such good things about Primarks foundation but never tried. 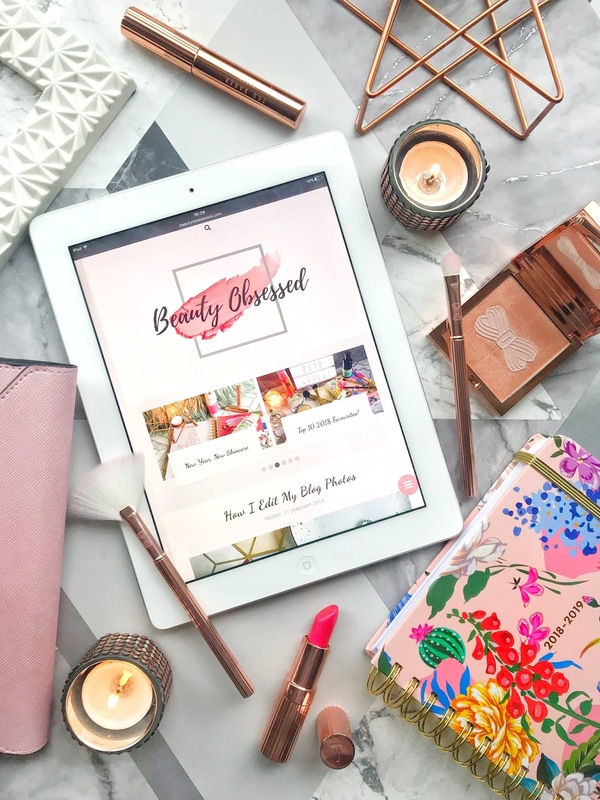 I've definitely loved trying out some of their blush palettes and lipsticks! I'm really shocked at how well the Primark foundation performed considering the price tag but it looks really nice on you! I'll definitely keep an eye out for it next time I'm shopping! Great review and photos! 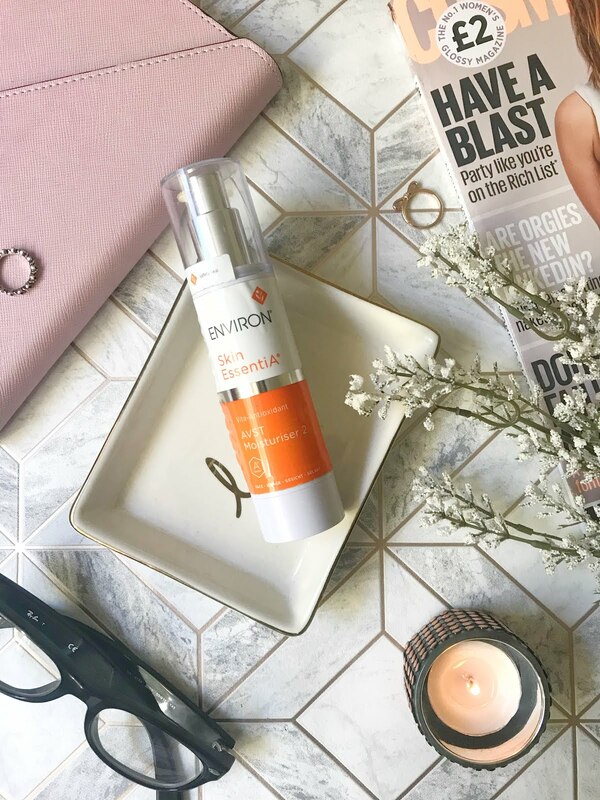 I'm in the market for a new foundation right now as my usual one has been discontinued �� But I'm having so much trouble finding one that sits nicely on my skin! I recently tried one from Revolution but it wasn't this one, think it was a camoflage one? And unfortunately, it looked awful on me. The shade was a great match but I just found it so hard to blend and it was cakey especially around my nose. This Primark one sounds amazing, eapecially for 3 quid! I'll have to check it out. I really need to try out the revolution foundation! I love the concealer so seems silly that I haven't used the foundation yet. So great that Primark are releasing great makeup for such a great price. I will keep my eye out for this foundation too!